Accidents happen – and when they do, victims can find themselves unable to continue working in the same way as they did before. NJ state law requires all workers to be covered by worker’s compensation to protect them if they are injured while working. Workers compensation coverage ensures that anyone who is injured or suffers an occupational disease as the result of their work is protected, along with their dependents, against the hardships arising from the injury sustained in their workplace. In some instances, employers may not want to pay workers compensation benefits, or the insurance company that provides coverage for the employer will do all it can to reduce the amount it has to pay an injured worker. 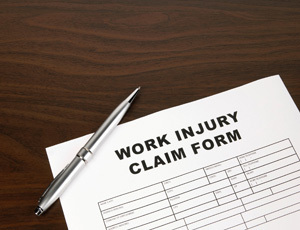 If you have been injured on the job, consult with a work injury lawyer in NJ. You may be entitled to payments from NJ workers compensation settlements. When you’ve experienced a work injury, it’s essential to receive the necessary treatment and the full compensation required to continue with your life. Our client experienced an injury at work when he placed his tool box on a dolly that had no brakes. The dolly moved. The tool box fell crushing our client’s ankle. We sued the manufacturer of the dolly and obtained a multi-million dollar recovery for our client; far more than that he was entitled to under the workers compensation laws. We always consider third party actions (eg. against the manufacturer of an inherently dangerous product or machinery) when there is a workers compensation claim. Although workers compensation laws are designed to eliminate most direct lawsuits against employers and employees, many times workers are injured at work as a result of the negligence or carelessness of someone with whom he is working. That person may be employed by a different contractor or subcontractor and therefore, the injured worker would not be precluded by workers compensation laws from bringing an action to obtain full financial compensation for the pain, suffering and economic loss sustained. Such an action can result in an award and settlement far exceeding that which workers compensation pays. We are always analyzing on the job injuries to determine whether or not there could be potential monetary recoveries against a negligent defendant not protected by workers compensation laws. Our analysis is free and we will let you know whether or not you have such a case. In some cases a dispute over how much is due – or if compensation is due at all – may arise between the injured worker and employer or between the injured worker and the employer’s insurance company. In cases of workplace injuries, it is important to contact a New Jersey workers compensation attorney to ensure that full reimbursement and medical treatment for the damages suffered is secured. Workers compensation is insurance, taken by employers, to provide cash benefits and medical care for employees who become injured or suffer an illness as a result of their work. Employers must pay for this insurance under New Jersey law, and employees do not need to contribute to the cost of their compensation. Once it has been determined that the injury or illness incurred is work-related, the employer or insurance carrier must pay the claim. If you are injured or contract an illness as a direct result of your work, you should report the injury or illness immediately to your employer. Advising your employer does not have to be in writing and can be given to your direct supervisor, personnel office, or anyone in a position of authority at your workplace. You should also seek the necessary medical treatment to address the injury or illness. Under NJ workers compensation law, your employer and/or their insurer can choose the medical professional to treat your workplace injury. You should retain all documentation pertaining to your injury or illness as this may be needed in future to support your claim for reimbursement in NJ workers compensation settlements and cases. Once you have notified your employer of a workplace injury, their insurance carrier will evaluate the claim and decide if they believe it is compensable under workers comp law. Its representatives will contact you, your employer, and the medical professional to aid their assessment. The process for filing workers compensation claims can be stressful, perplexing and time consuming. Having a New Jersey workers compensation attorney guide you through can help you during this difficult time. Can My New Jersey Workers Comp Claim Be Disputed? In some instances, an employer or their insurance carrier may disagree over the entitlement to benefits, whether the injury or illness was work-related, the level of payment for temporary disability benefits, or to the type and extent of medical treatment required. By engaging with an experienced and professional personal injury lawyer in NJ, you will be able to effectively explore options such as filing a Claim Petition or an Application for an Informal Hearing with the Division of Workers Compensation. In this way, you can obtain the NJ workers compensation settlement or reimbursement you deserve. If an illness or injury incurred in the workplace causes you to miss more than seven days of work, your employer’s insurers are obligated to evaluate your case. Workers compensation benefits should never be accepted before consulting with an experienced NJ workers compensation lawyer. At Rothenberg Law Firm LLP, we believe there is no work more fulfilling than the work we do to help our clients restore their lives. We are a firm dedicated to serving the New Jersey area. Our values of honesty, promptness and courtesy, patience, compassion, and thoroughness support our mission to maximize our clients' recoveries and restore their devastated lives. We understand that to be effective at earning the workers compensation or third party settlements our clients deserve, we must be zealous and tireless advocates. If you’ve experienced a work injury, contact the Rothenberg Law Firm LLP today. We are a dedicated team of NJ lawyers that are prepared to fight for you. "I felt extremely well taken care of as a client of The Rothenberg Law Firm. There is so much to take care of when dealing with personal injury and I didn't have a worry at any time. Any doubts or questions I had were immediately answered and taken care of in a timely manner. They took care of everything and I will continue to consult and hire them if necessary in the future. My expectations were met and exceeded."